Chicago police organized a peace rally Thursday night along with religious and community leaders. 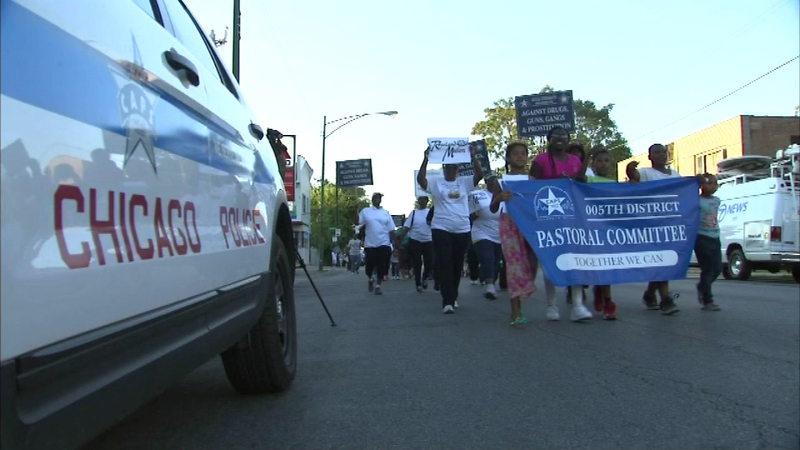 CHICAGO (WLS) -- Chicago police organized a peace rally Thursday night along with religious and community leaders. They marched six blocks from 110th and Michigan to "Kids Off The Block," an organization that works to prevent youth violence.